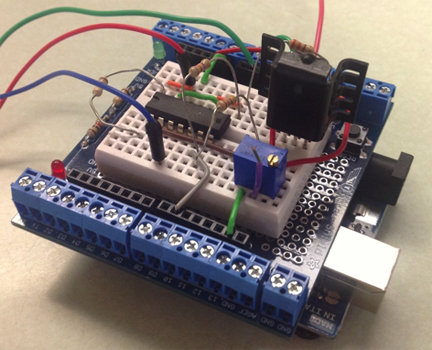 Microcontrollers are increasingly taking over control and data acquisition in the laboratory. Often they are embedded in an instrument to control its function. Stand-alone and low-cost microcontrollers became available over the past 10-20 years and have been in use by hobbyists, artists, and have also found their way into the laboratory. In this immersion workshop we will be focusing on the Arduino, one of many microcontroller boards on the market; its mark of distinction is an open-source architecture with support under Windows, MacOS, as well as Linux platforms. Arduinos come in many shapes and forms, including wearable varieties that can be sewn into clothing and connected to sensors and actuators with conductive thread. We have utilized the Arduino extensively in our sophomore electronics lab and are beginning to use it in our advanced labs as well. The goal of this immersion is to introduce participants to the Arduino platform and get them familiarized with programming and interfacing these microcontrollers, so that participants will be able to use Arduinos with their own projects at their home institution. Arduinos typically have digital I/O lines, counters and timers, as well as analog inputs with 10-12 bit resolution. They are very affordable and easy to program and thus readily integrated with laboratory instrumentation and circuitry to help control experiments and automate measurements. Participants will learn to program the Arduino and have it communicate with a host computer and with an LCD display; use of digital I/O lines to read the status of switches and control actuators; analog-to-digital conversion via built in analog inputs or external A/D converter; use of pulse-width-modulation to deliver analog power by digital means; transmission of digital data via shift registers; the use of a digital potentiometer. Day one of the immersion will be dedicated to learning Arduino basics: the Arduino programming language, and the use of the integrated development environment to write programs and download them to the Arduino, as well as using the serial monitor to communicating with a host computer. We will explore working with digital I/O lines to control external circuitry, and to read the status of switches or push buttons. Next we will learn to use the analog input lines that provide built-in 10-bit (Arduino UNO) or 12-bit (Arduino DUE) A/D conversion capabilities. If higher resolutions are required and external A/D converter must be used, and we will show how that is done with the Arduino. On the second day we will examine a variety of sensors to measure temperature, pressure, light intensity, sound, and other quantities. We will explore the use of stepper motors and servos to make things move. The remaining period of day two and day three will be used to work on projects, such as an autonomous Arduino robot, a temperature-controlled characterization of a pn-junction, or the measurement of thermal conductivity. All workshop materials will be supplied, however, if you wish you can bring your own laptop and Arduino to use during the workshop. 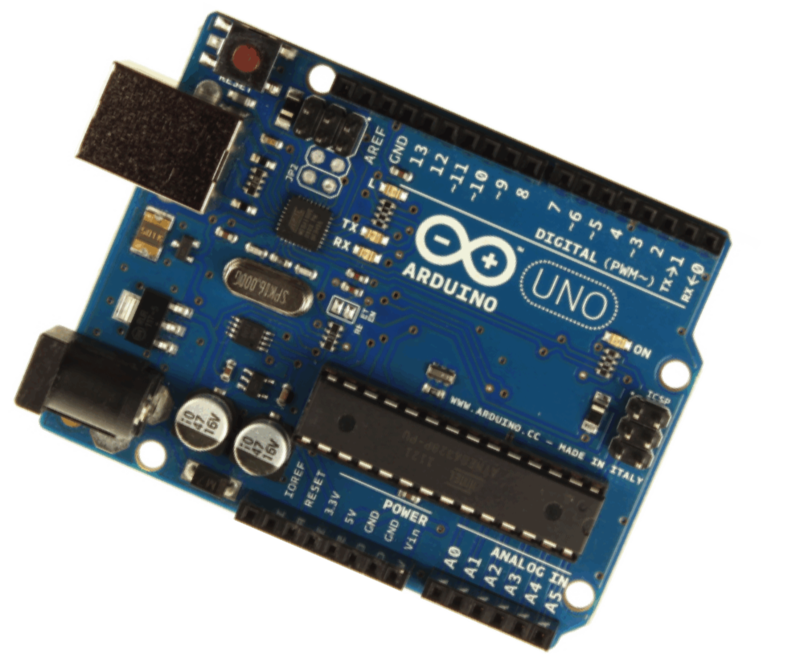 Arduinos are notably affordable. Beyond that you need a breadboard with power supply for circuits (the Arduino can be powered via USB or 9V battery), and a multimeter for simple measurements and troubleshooting, and some basic electronic components. Adafruit sells Arduino starter packs for $65 and $85 that includes an Arduino Uno, a breadboard, and basic electronics components that get you started immediately. SparkFun sells an Inventor’s Kit ($110 with Uno) or Mini-Inventor’s Kit ($50 with Redboard, an Arduino-compatible device) with various electronics components to get you going. Arduino-savvy suppliers include Adafruit Industries (http://www.adafruit.com/), and SparkFun Electronics (http://www.sparkfun.com/), among others. 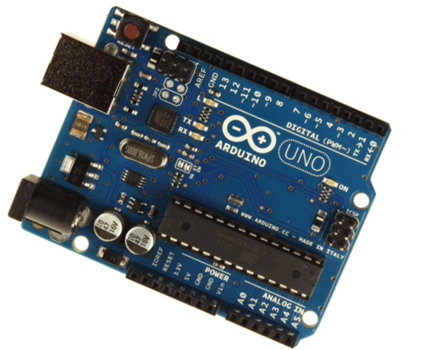 They not only sell the various flavors of Arduinos, but also expansion circuits (so-called shields) that piggy-back on the Arduino for additional functionality. There are also tutorials for many sensors and projects, including Arduino code to make it all work.